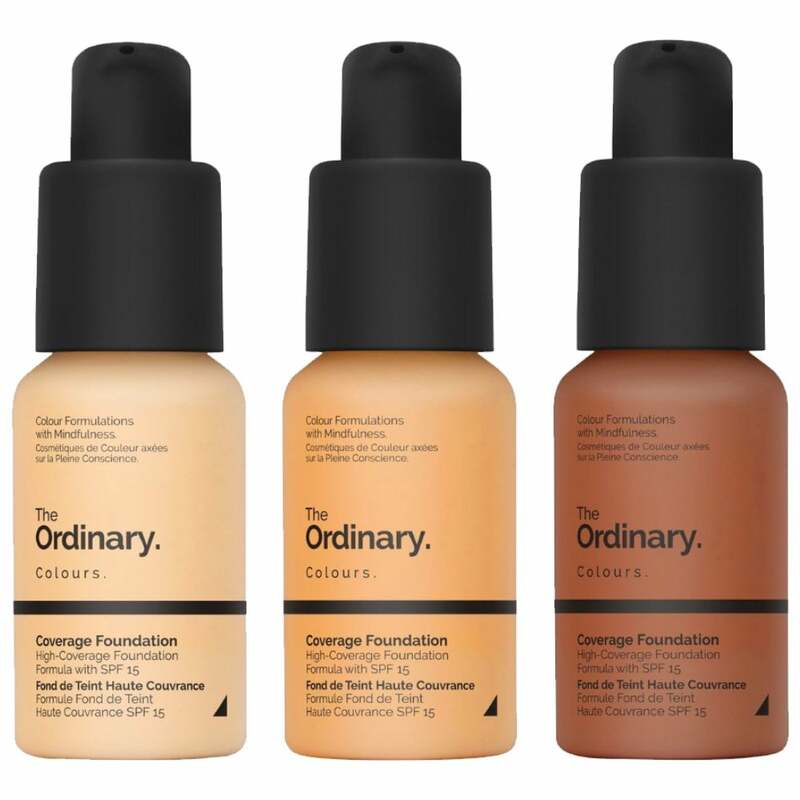 The Ordinary Coverage Foundation SPF15 (30ml) is a lightweight liquid foundation, providing full coverage with 100% natural SPF15 sun protection. With a blend of premium colour pigments contained within The Ordinary’s unique spreadability system, the liquid produces a natural, smooth, semi-matte result which will not cake or be drawn into expression lines. Light 1.2 P - for light skin with pink undertones. I've spent a great deal of money on various foundations, never finding one that is just right in texture, colour and coverage. As I was ordering other items from JustMyLook I thought I'd order this on the basis that it wasn't much money to lose, but without high hopes of it being any good, Oh wow, I was amazed. Its superb! My 71 year old skin isn't great these days and takes a lot of careful makeup application to look good, but this foundation gave me the exact finish I'd failed to achieve with much dearer products. Highly recommended. Daughter is very happy with this product. I didn't have this shade. I ordered 2.1 yg. Perfect for my skin colour. Easy to apply, very light but good coverage. Excellent price and good coverage. Delivery quick. Perfect match,full coverage foundation. One of the best I have used. Very flawless after application and feels very light on the face like I am not wearing foundation. I will definitely purchase again. I wear the shade 3.2N not 1.0N as it's saying. It did look quite light on me at first but it goes darker. I would say it's coverage is medium but it can definitely go up to full without caking up. I am Hot Fudge in Huda Beauty. Great coverage. Would deffo recommend to friends. Surprised at the level of coverage considering it is quite a runny foundation. Stays put all day too which i was pleased with as i expected, due to the consistency it would slide off. Used with Ben Nye finishing powder it stays put all day! Great shade for fair skin. I am very pleased with this product. I haven't had much luck in choosing foundation colours in the past and went off foundation altogether, but this time it's spot on and the colour example proved correct for my skin tone. It also feels good putting it on. I will be purchasing again. Please don't alter the colours! This foundation is lovely colour is perfect for me as I stuggle with being so pale .The coverage is really good too I wanted it to replace a bb cream that has been discontinued , it’s super light weight so doesn’t feel like you have anything on and you don’t need a lot of it . Very happy will be buying again. better than all high end foundations, absolute fanstastic, the price is remarkable, and so many shades, well done just my look!!!! great site! I've used so many foundations but always come back to this. ( and I never usually buy the same more than once) my skin has a lovely healthy glow. The foundation lasts all day and is easy and even to apply. Love it. The price is unreal. Perfect for pale skin, full coverage but feels very light. This foundation hit the markets a couple of years ago and now I can understand all the reasons why many in the beauty community rave about it. I tried putting it on my face as soon as I received it and it made my skin look gorgeously smooth and radiant. I have never had a foundation quite like it: it looks like your skin only better to use a well known phrase. The thing is to remember to shake the bottle to mix the product and pigment. The bottle is an attractive plastic container with a pump and looks far more expensive than it is. Highly recommended.